1024 Edgewood Blvd, Homewood, AL.| MLS# 839238 | Richard Jacks UABLIVING.com 205-910-2297 | Birmingham AL Real Estate | Contact us to request more information about our Homes for Sale in the Birmingham AL area. Lowest price house in the heart of Edgewood! 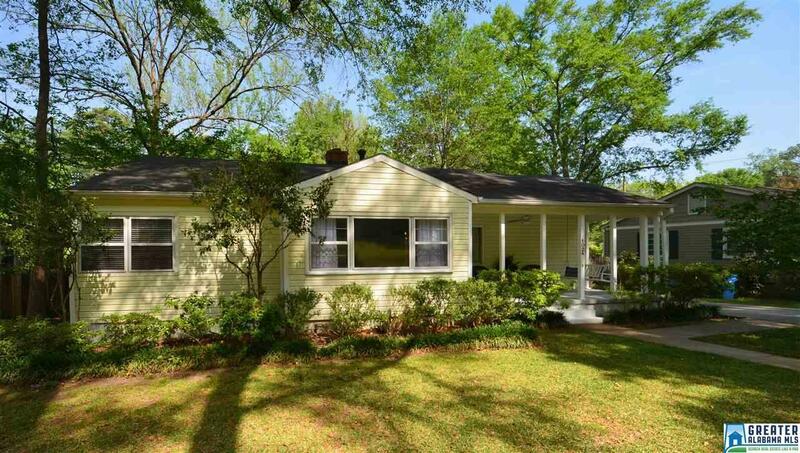 Seller has made many updates to this 3 Bedroom/2 Bathroom home with a bonus room. Some of the improvements are HVAC System w/ Ductwork installed spring 2016, remodeled Bathroom w/Shower & Subway tile winter 2017 and new hot water heater, 2018. You will enjoy the Oak/Bamboo Hardwood Floors or Tile Floors. Two storage areas make it easy to have a potting shed and place for tools. Front Covered Porch and Open Back Deck allow you to enjoy the outside spaces. This area is in walking distance to Edgewood Elementary, Homewood Park, two Villages and Restaurants. Sidewalks throughout the neighborhood make this area very Family/Pet Friendly. At this PRICE, this is your opportunity to move to Edgewood and make it your Dream Home! Driving Directions: Oxmoor Road To Edgewood Blvd. Home Is On The Right.